The 18-hole course was created at ‘The Old Course’ in Saint Andrews in 1764! The first and oldest golf tournament to exist is ‘The Open Championship’ (also know as the British Open). It was first played in 1860 in Ayrshire, also Scotland. There are 4 major championships in men’s professional golf. The British Open, The U.S Open, PGA Championship and The Masters. 1. 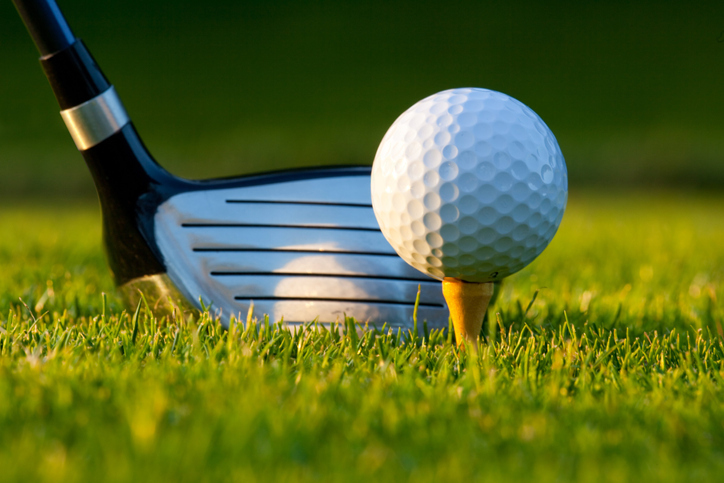 Golf is played with a set of metal clubs and with one ball. 2. Each player has his set of clubs and balls. 3. Golf is played on a terrain that has no particular shape. 4. The terrain is usually over an area up to 200 acres. 5. A Golf course consists of a set of 18 holes. 6. One round of golf is to play all 18 holes. 7. You begin your first shot from the ‘Tee-off’ point. 8. You finish at the other end by putting the ball into a hole in the ‘Green’. 9. A flag placed in the hole helps you to identify the green from a far away distance. 10. You may need to have 3 to 5 shots or more depending how good you are. 11. The whole idea is to put the ball in each hole in the minimum number of shots. 12. The area in between the tee-off point and the green is known as the ‘Fairway’. 13. The whole idea for a player is to make his shots fairly straight so that his ball always lands on the fairway. You are always aiming to get to the Green. 14. Fairways are well-maintained short grass. This makes it easier for a golfer to play his shots. 15. You may find obstructions to make the course a little more difficult. 16. Obstructions could be: uneven ground, bushes, bunkers, water, trees, etc. 17. To be a good golfer, accuracy and straightness are key! 18. Each hole will have a specified number of shots depending on the distance and the level of difficulty between the tee-off and the green. This is usually based on a relatively good golfer! 19. The specified number of shots is referred to as a par. 20. Some golf courses have a separate tee-off point for professional golfers. This gives them a greater disadvantage against more amateur players.